I have a ridiculous idea. In 2015, Laura and I ran a trip for teens from camps across the country. We got in a van and visited 7 camps over 17 days in the Pacific Northwest. Along the way we visited national parks, learned a ton, and made lasting friendships. It was amazing. Being able to see different camps in action and debrief with like minded camp folks from across the country was transformative. Each camp was uniquely different while at the same time being remarkably similar. It pushed all of us to think differently about what was possible, what made camp camp, and gave us enormorse insight into what our impact might be. We stayed up late talking about the power of camp and imagining ridiculous ideas for what we might create some day. Ever since that trip, Laura and I have wanted to be able to offer something similar. Something that could give that wider perspective and possibility in a short period of time to passionate potential camp directors. With the growth of Stomping Ground from one week in 2015, to three in 2016, and four in 2017 we just couldn’t find the time to facilitate another trip. Here’s the fun part! Because you would work a bunch of weeks at Stomping Ground, Stomping Ground could cover the cost of the program and pay you a stipend, probably about $1,000. Not a ton of money, but getting paid to travel, learn, and play with kids is pretty awesome. This is exactly how I would have loved to spend a summer while I was in college. 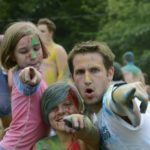 Instead of wondering what other camps were like, go out and see them. 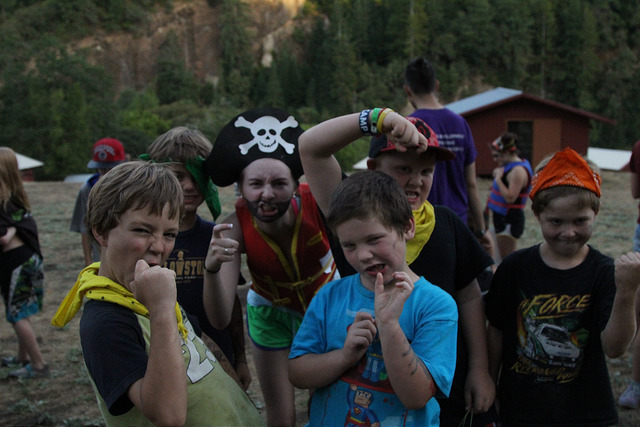 You will get to work with camps pushing the limits with what is possible with kids in a variety of settings, build authentic relationships with a bunch of camp directors and camp staff, and have a better understanding of what a career in camp might look like. This program isn’t for everyone. It will be hard and requires a willingness to work hard, think creatively, and try new things. We are looking for passionate camp folks looking to make an impact, learn a ton, and push themselves and the cohort to new levels. If that sounds like you, sign up to learn more about the application process.